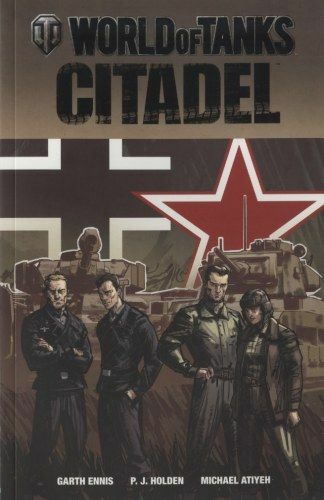 Garth Ennis and PJ Holden create another gritty war story inspired by the massively popular World of Tanks. During the mighty Battle of Kursk, a crew of Russian tankers find themselves at odds with the war, each other, and a German unit on the loose behind the Soviet lines. Collects issue #1-#5 of the miniseries.